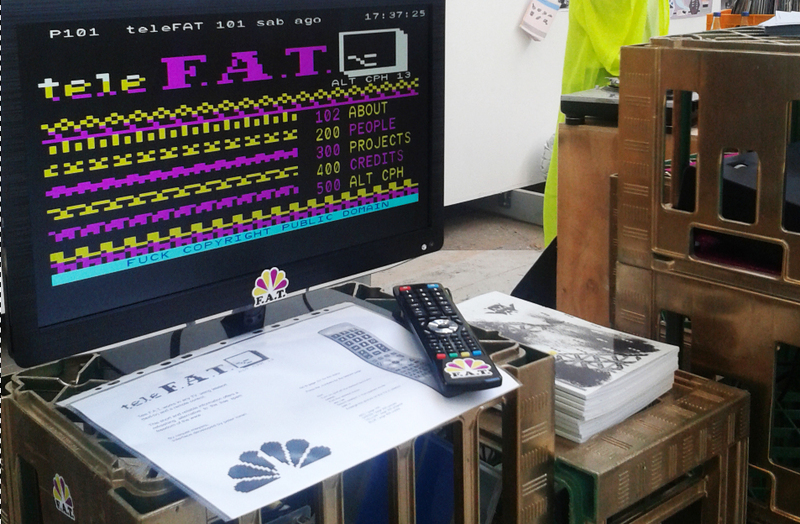 F.A.T was invited last week to the ALT CPH in Fabrikken during the Copenhagen Art Week. 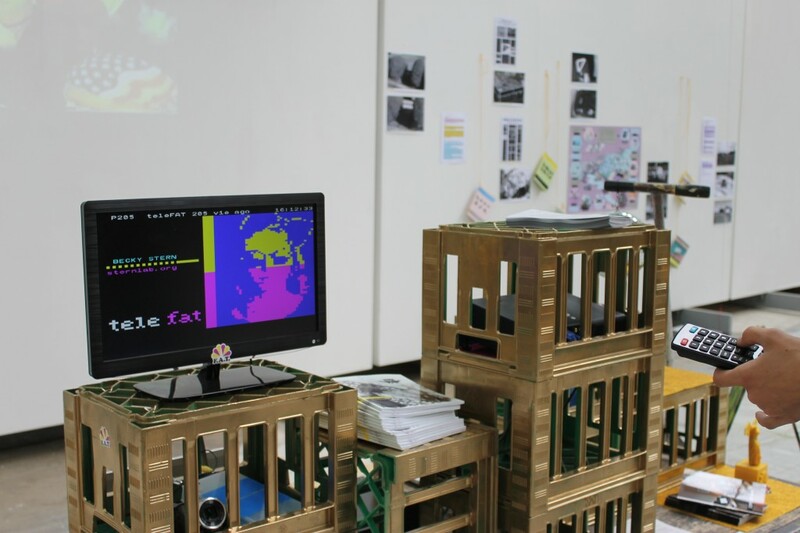 Given that tele-text is the number one public information service in Scandinavia it only made sense to present the information about F.A.T and the works we exhibited in this way. Lucky me, my friend Raquel Meyers is a text-mode extraordinaire and i ask her for this amazing tele-text piece specially for F.A.T. Release early, often and in text-mode! Thanks everyone for comming to the debate on the current state of technology and power organized by Kunsten, and joining the Data Klubb party, were we hosted with Science Friction the release of the new Piratbyrån’s book “Anarchival: The end to end principle”. So stay tuned for books, data and free beer. Gold crates, hundreds of stickers, etc.. and amazing weekend possible thanks to the support of Fabrikken For Kunst og Design.